During the FIG Working Week in Cairo the Working Group held a workshop to discuss a draft of guidelines. Part of the work plan of Commission 1 is, that the Working Group should provide guidelines for FIG (Congress 2006). Participants were Ken Allred (FIG), Clarissa Augustinus (UN HABITAT), Leonie Newnham (Australia), Jennifer Whittal (South Africa), Sara Wilkinson (UK, now Australia) and Gabriele Dasse (Germany). The participants didn’t discuss the draft because Clarissa mentioned at an early stage that it would be more important for HABITAT that there are Gender Policies available on the FIG website. She reported that Gender Policies rate high within UN and HABITAT and for cooperation between HABITAT and FIG it would be very helpful to have a clear position on this subject. Additionally it would be possible to have Young Surveyors’ Policies. The policies should contain general statements and declarations of intent with exemplary activities. The participants agreed that this would be a good possibility to pave the way. By the end of 2006 Gabriele will finish her work for DVW and FIG. One reason is, that it is her second period of activities in DVW, the German Association of Surveyors, which is normally the longest possible period of time for a membership in a DVW-Commission. More important in her opinion is, that she has been out of the surveying profession since nearly 3 years now and her priorities are changing. The discussed proposal is, that with passing Gender Policies and Young Surveyors’ Policies by the General Assembly a Working Group on under-represented Groups in Surveying would be dispensable because then all actors in FIG are responsible for the implementation. Nevertheless it would be possible to have a call for papers for Congresses and Working Weeks asking for presentations on these subjects. Possibly the network could be transferred to Net.Surve (http://extra.shu.ac.uk/netsurve). Sara Wilkinson and Pat Turell from UK will discuss it this summer. It could bring an input for their activities. At the end of the workshop it was decided that Gabriele will contact the President of FIG Prof. Holger Magel before the Working Group starts further activities. There is an open Call for Papers for the FIG Congress 2006 in Munich. The deadline for abstracts is 15 March 2006. One of the topics for the call for papers is “Improving participation of under-represented groups”. For more information: http://www.fig2006.de/e/themes.htm. I would be very pleased to organize one or two sessions concerning this subject with your presentations. Members of the Association of Ontario Land Surveyors are being asked to take up the torch to recruit new members, to let young students know about what we do and why they might consider geomatics for their studies and future career. We know the number of newly commissioned surveyors will not replace those retiring over the next few years. In recruiting the best and the brightest we face stiff competition from the other professions, in particular engineering and law. I am in total agreement with the comments made by Lorraine Petzold at the Open Forum of this year’s AOLS AGM that recruitment will be most effective for our small profession if we approach it “one-by-one.” Every student you hire, every student you get to know through community or social activities has the potential to join our profession. Whether or not they do depends on the interest you show in them, the example you set, and the experiences you provide. My own experience bears this out. In 1974, as a high school student I wrote to the President of the AOLS, Gren Rogers to inquire about the potential of a career in land surveying. He wrote me back and I was impressed by his passion for his work and by his encouragement that “the profession is wide open to women.” I was looking for a career. My criteria included a university education, a profession, opportunities to work outside, to travel, and to be self-employed. I also wanted to be able to earn a living doing interesting work. In 1976 the open-minded Murray Maher gave me a summer job working on a field crew in Sudbury. I was treated with a mixture of curiosity and for the most part, respect. I think I must have been naïve and generally oblivious to some of the exclusion and disrespect aimed my way. With the patience and kindness of my party chiefs in the early years, I learned to pound in an SIB, make a picket, and cut line. I learned to ignore catcalls on a construction site. I tried not to laugh when a client would look me in the eye (or elsewhere) and say, “Is there anyone here?” (This scene even repeated itself when I was the OLS owner of a busy practice!) I found I could do the work and off I went to Erindale College at the University of Toronto. If the surveyors I encountered in those early years had not respected me and provided good work experiences I would have chosen another path. In 1969 Lorraine Petzold became the first woman in Canada to be a professional land surveyor. In 1978 Maureen Mountjoy become the second woman to be an Ontario Land Surveyor and in 1982 Kathy Sam-Guindon and I were commissioned. Currently, 37 women are Ontario Land Surveyors out of a total membership of 692 (5%). There are two women articling out of a total of 28 articling students (7%) Four women have retired and out of 183 Associates, 22 are women (12%). Do we want to welcome female students in our recruitment efforts? Acknowledging that I am biased, I think I can boast that some of our profession’s best brains and talent are found in our women. Women have been providing strong leadership in our professional organizations. They run busy traditional land surveying practices and cutting edge GIS businesses, they administer and manage large and complex contracts, and they are experts at geodetic surveying and photogrammetry. Women are good at math. They are strong and fit and are great decision makers. We should be long past wondering whether or not a woman “can do the job.” And we should see the female half of the student body as a huge untapped potential. Are we a female friendly profession? I recently learned that a stripper was part of the “entertainment” at the 1983 AGM in Thunder Bay when I was to have attended the convocation luncheon as a newly commissioned surveyor. (Instead I was in hospital delivering my first born.) Has the profession grown up any since? At the AGM last year our guest motivational speaker presumed I was a colleague's wife and singled me out to illustrate some lame sexist point. I hear that women wishing to purchase surveying equipment can still be ignored at the exhibitors’ booths. Advances have been made in the culture of our organization. I understand in 2005 the Veteran’s Dinner became a dinner rather than a stag. I have attended a Regional Group meeting where a surveyor fed her infant child during the proceedings. Our incoming president was introduced this year by his surveying friend of over thirty years, Maureen Mountjoy. From Feb 2000 to Feb 2003 Cindy Kliaman served as one of our AOLS councilors and she also ran for vice president. Changes in cultural attitudes can take several generations but it is possible. As a professional body and as individual surveyors we want to be seen as “modern” and that means behaving in such a way. Young women considering our profession will want to know that they will be included and respected. At both the individual level and the organizational level we can ask ourselves if our speech and actions reflect our desire to say truly “the profession is wide open to women.” We should all ask ourselves if geomatics is a profession to which we would be proud to include our sons and daughters. Thank you to AOLS past president Tom Bunker for inspiring me to write this article. For the past six years Anne Cole has been the Northern Regional Surveyor with the Title and Survey Services Office, Registration Division of the Ministry of Consumer and Business Services. Prior to that she worked for over 20 years in private practice land surveying in north eastern Ontario including eight years as the owner of J. Anne Cole Surveying Ltd in Sudbury. She can be reached by email at anne.cole@cbs.gov.on.ca. Leonie Newnham works for the Department of Sustainability and Environment as part of the Victorian State Government in Melbourne, Victoria, Australia. She fits into the extended definition of Surveyor as held by FIG as she first graduated with a Bachelor of Arts majoring in Geography from Melbourne University. From there she embarked on a second degree to train as a teacher in Geography and English and began working with the State Government while she studied part time. A love affair with organisations and how they work was born! Instead of being a teacher she stayed and was chosen to be part of the Graduate Recruit Scheme for the Victorian Government that gave people intense training and development for a year as a way of fast tracking them for management positions in the public sector. ‘I had some fantastic mentors along my career pathway and I met one while on the Graduate Scheme who encouraged me to build on my organisational knowledge so I began studying a Masters in Business Administration with the aim of running organisations,’ said Leonie. After rising up the ranks of the Public Sector, Leonie moved to be Executive Officer/ Company Secretary of State Trustees and then ran a not for profit organisation for 5 years. 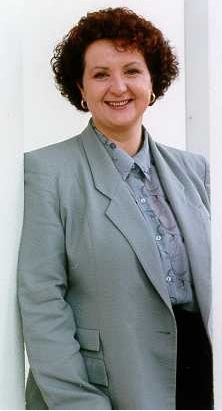 During this time her daughter Amanda was born so she came back to the Public Sector for a less hectic life style. This plan has not always worked as she likes to be actively involved in her work and profession! Around the time she turned 40 Leonie reviewed her work life and decided that her dream job was to work in the field where she started life – the natural environment. Gathering up her organisational tools she moved in 1997 to the then Department of Natural Environment to work on land management change programs. This led to a number of years where Leonie worked in business change projects. 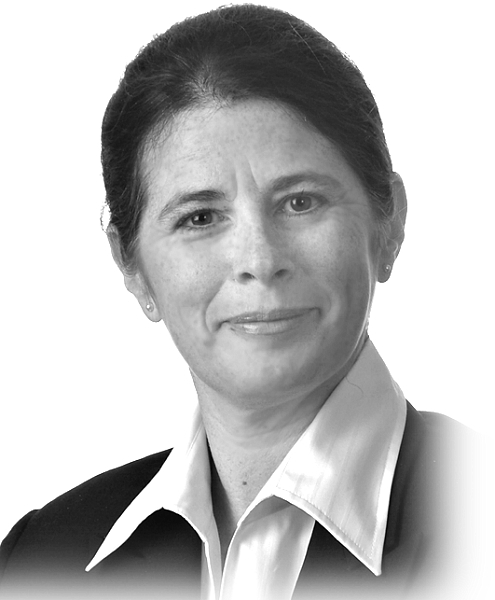 Among other projects she became involved in the development of new land valuation approaches in Victoria, the development of the vision of integrated land management information across Victorian Government and reforms in business service delivery such as statewide videoconferencing facilities being provided for her Department. During this time Leonie became involved in FIG by being responsible for organising the Victorian State Government participation in the joint UN/FIG International Conference on land tenure and associated natural resource management issues in Melbourne in 1999. 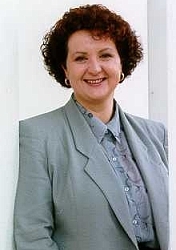 This led to her contributing papers on the land management change programs underway in Victoria to FIG Working Weeks and her then being invited to be Vice-Chair of Commission 1 Professional Practice and Standards, FIG, in charge of working on International Project Management from 2002. She has contributed a number of papers to the FIG Working Weeks and is currently working in Victoria to promote and develop innovation in land management in the Department of Sustainability and Environment. Leonie would like to encourage anyone interested in these areas to contact her and become active in the Working Group. Thirty years ago, affirmative action programs were underway in American society at nearly all levels. They began as federal actions to affirm the presence of women and minorities in fields where they had been traditionally under-represented. Similar programs then trickled down to the community level. The major effects of affirmative action were the recruitment of women and minorities into university programs and professional fields which had been previously dominated by white males. As one might expect, a backlash ensued. Affirmative action programs were labeled by their detractors as “reverse discrimination.” Eventually, a number of conservative protests and Supreme Court rulings narrowed the definition of permissible affirmative action at the public level. Yet, proponents of affirmative action were able to verify the benefits of tapping into portions of the American workforce which had been previously excluded from science and technology. Therefore, programs to continue the recruitment and retention of traditionally under-represented persons in science and technology have survived the backlash. These programs are now called “diversity enhancement” or “diversity enrichment” plans, and they exist at both the public and private levels. A new driving force in diversity enhancement is ABET, Inc., which is America’s leading accreditation service for university programs in applied science, computing, engineering, and technology. ABET has provided leadership and quality assurance in higher education for the past 70 years, currently accrediting approximately 2700 programs at 550 colleges and universities. The Industry Council is made up of representatives from ABET constituents such as Norfolk Southern, Eli Lilly, Caterpillar, Ford Motor Company, Raytheon, Microsoft, Hewlett-Packard, Boeing, and ExxonMobil. The Council considered the “conspicuous lack of diversity” in the fields which ABET accredits, and then examined the likely implications if such circumstances were to persist. The first snag was encountered when ABET examined ways to increase diversity among the volunteers who serve as program evaluators. Volunteers are drawn from the 30 professional organizations, or member societies, which guide ABET. Because they are representative of the membership of those societies, approximately eighty-five percent of ABET’s volunteers are white males with an average age of 57. “Traditionally,” said ABET President Richard O. Anderson, P.E., “the technological fields represented within ABET have not been very inclusive; in fact, the educational process in these fields has been subtly hostile to those who don’t fit the fields’ stereotypes.” In spite of such constraints on the pool of volunteers, ABET has asked each of its member societies to put forth volunteers who can assist ABET in achieving broader diversity in each of its divisions. ABET’s immediate past president, John D. Lorenz of Kettering University, said that in terms of gender and ethnicity in the enrollment rates of undergraduate engineering, the news is generally bad. As the Industry Council pointed out, the numbers of women entering some of the traditionally male-dominated fields, such as medicine and law, is nearing parity, but the percentage of women entering applied science, computing, engineering, and technology remains disproportionately low. The African American and Hispanic American populations also remain noticeably under-represented in these disciplines, as are persons with disabilities. The good news is that several of ABET’s member societies have already created diversity enhancement programs of their own. Some organizations have created committees to improve their relationships with women and under-represented minorities. A few have created diversity training programs for their memberships. Many collaborate with the Society of Women Engineers, the National Society of Black Engineers, the Society of Hispanic Professional Engineers, and the American Indian Science and Engineering Society. At its annual meeting last fall, ABET heard presentations about several diversity enrichment programs. The Institute of Electrical and Electronics Engineers (IEEE) is an example of an ABET member society which has developed a number of diversity enhancement initiatives. IEEE supports the “Introduce a Girl to Engineering Day” and the “ZOOM into Engineering” programs. IEEE also recommended an expansion of the Eisenhower National Clearinghouse for Mathematics and Science Education. As an international database, the Clearinghouse has the potential for reaching a worldwide audience in the promotion of technological literacy. The American Nuclear Society (ANS) is another ABET affiliate with its own affirmative action programs. ANS provides grants in mathematics and science to culturally or economically underprivileged schools. “Smart Academy” in Atlanta is an example of an ANS program to improve the math and science test scores of African American elementary students from disadvantaged areas of that city. The American Institute of Chemical Engineers (AIChE) suggested that ABET’s member societies initiate mentoring programs in which individual engineers share their knowledge and power. AIChE also recommended that employers and universities be recognized for diversifying their leadership ranks. The American Society of Civil Engineers (ASCE) is an ABET member society which focuses on affirmative action in the educational pipeline from kindergarten onward. Moreover, ASCE is currently developing the Extraordinary Women Engineers Project, which will be an outreach program to attract young women into engineering. The American Society of Mechanical Engineers (ASME) created a Diversity Award in 1996 to honor a member who has worked to make ASME more inclusive. Diversity Action Grants are given to student sections of the organization which promote women and minorities in engineering. One such grant supported a student poster project, which celebrated the achievements of African American and female inventors and engineers. “Our future depends on unleashing the potential of all our employees, everywhere, and committed leadership is the key to doing that,” said Jim Owens, CEO of Caterpillar, Inc. Focusing on diversity is not just the right thing to do, he said, but it’s also good for business. “Diversity is no longer a mere display of altruism or political correctness,” said the Industry Council. Diversity related papers and presentations from ABET’s annual meeting may be found in their entirety at www.abet.org/AnnualMeeting/2004AnnualMeeting.html. Other references may be found at www.bestworkforce.org, www.ewc-online.org, www.nsf.gov, and www.swe.org. 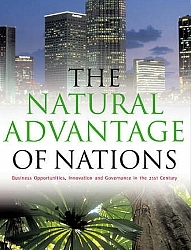 Book Review – “The Natural Advantage of Nations"
A new book has been published titled "The Natural Advantage of Nations" (Business Opportunities, Innovation and Governance in the 21st Century), edited by Karlson 'Charlie' Hargroves & Michael H. Smith. It comes out of the Natural Edge Project and is an Australian follow on from 'Natural Capitalism Creating the Next Industrial Revolution' by Amory and Hunter Lovins & P Hawken. It deals with how sustainability can be used to promote innovation and positive change across organisations and government. 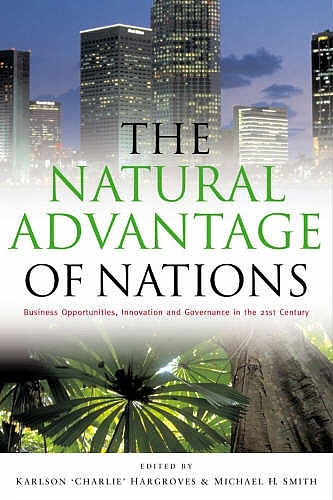 “The Natural Advantage of Nations promises to be a work of inspiring impact, bringing together as it does leading thinkers from business, economics, technology, innovation and the environment to tackle the major challenge of the 21st Century -sustainability. The book is built upon the premise that achievement of sustainability rests upon cooperation across business, government and civil society. It is widely understood that we must shift towards a sustainable future, and increasingly it is agreed that in order to do so we must move beyond rhetoric and into hard-edged, pragmatic forward steps. This book is a vital contribution to that forward movement, and I commend it to you."